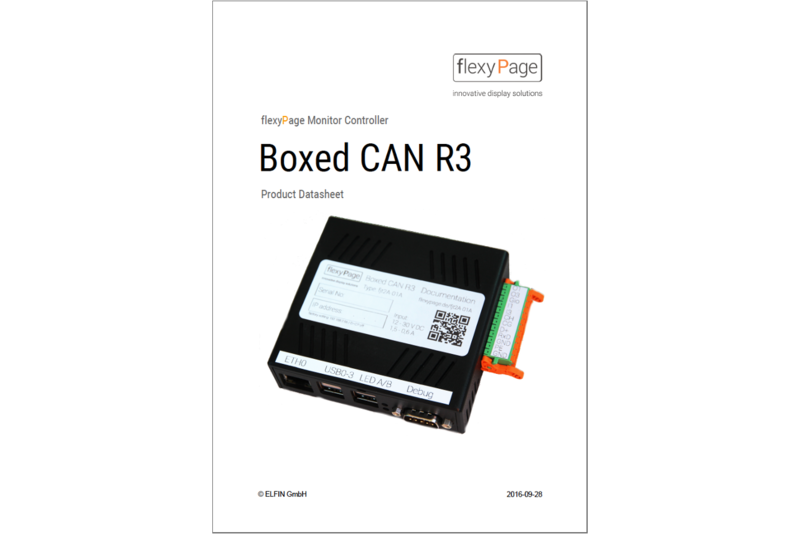 Is a commercially available flat screen, TV or industrial monitor used in the lift’s car or external area, the flexyPage controller is also offered as ‘Boxed CAN R3' variation. 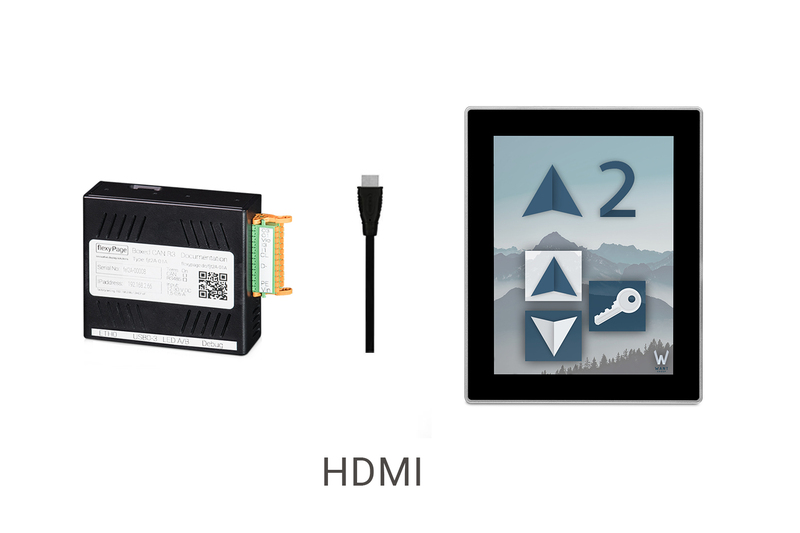 The monitor is controlled by the integrated HDMI interface. 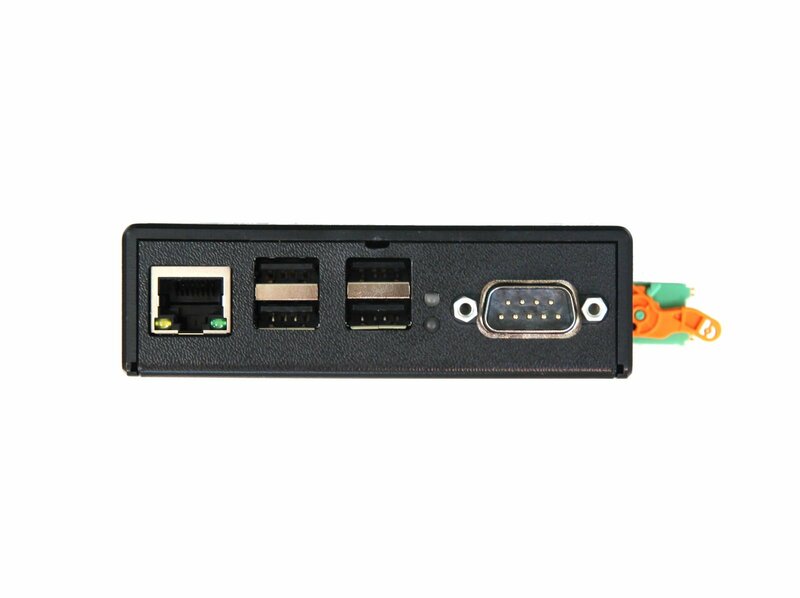 If a USB interface is integrated into the monitor with a touchscreen, this one can be supported, too. Does the monitor have active speakers implemented, it is also possible to control them with the help of the flexyPage line-out output. 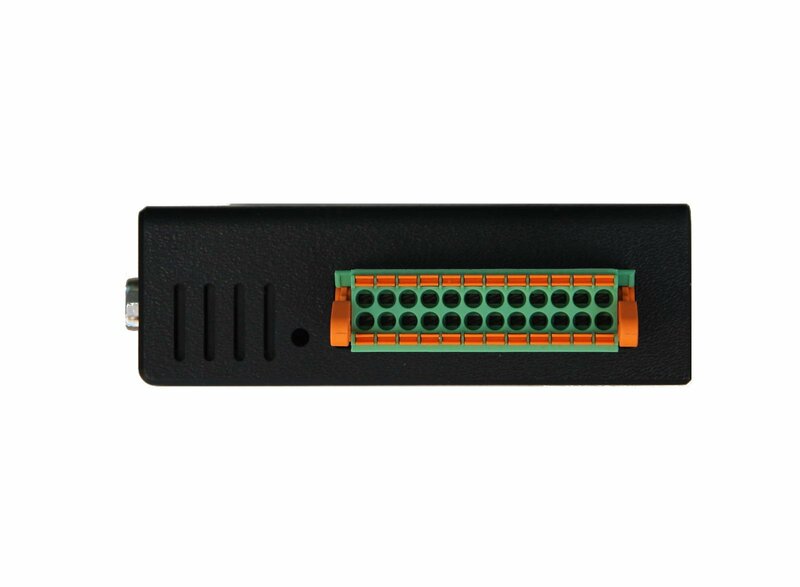 USB host interface, e.g. for using a touch sensor. 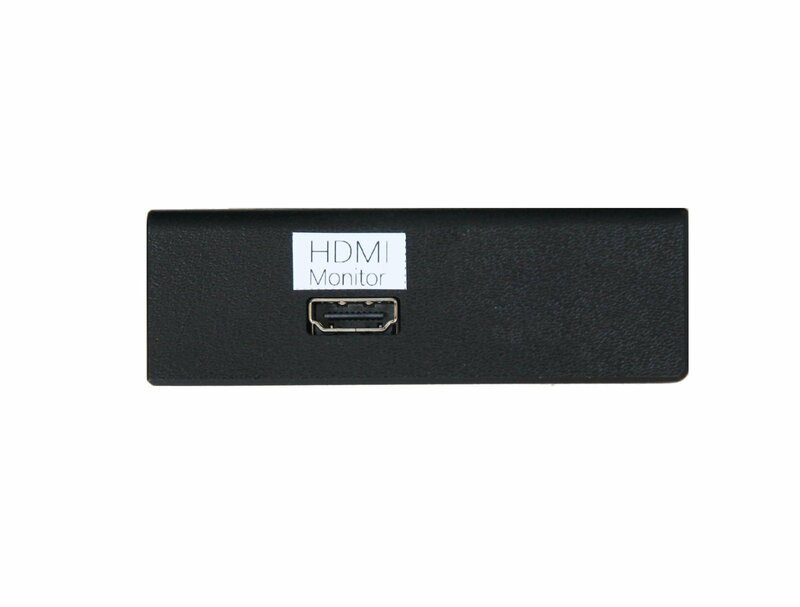 FullHD HDMI interface for connecting monitors or TVs. 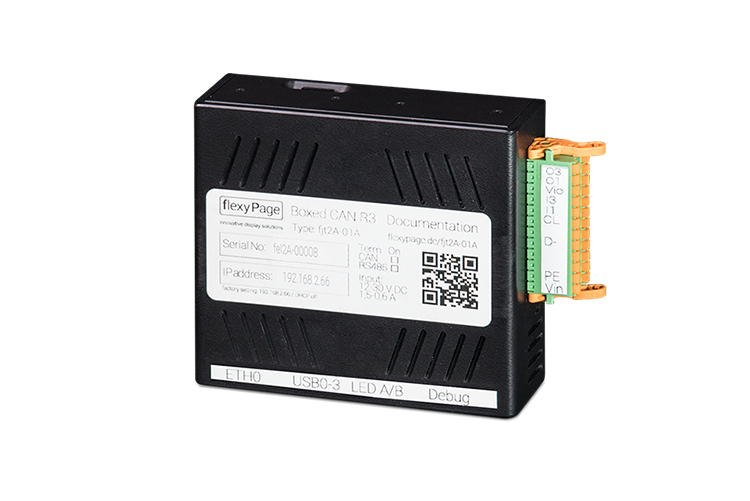 The technical data of the flexyPage Controller CAN R3 we provide in our product data sheet.